For 2017 results click here. For photos from 2017, please click here. Join us for a community 5k walk/run at the famous Boxers’ Trail in East Fairmount Park! On September 9, 2017, walk or run the scenic cliff paths of the Boxers’ Trail in East Fairmount Park where heavyweight boxing champion Joe Frazier trained. On-site registration opens at 8:30 a.m. and the race begins at 9:30 a.m. 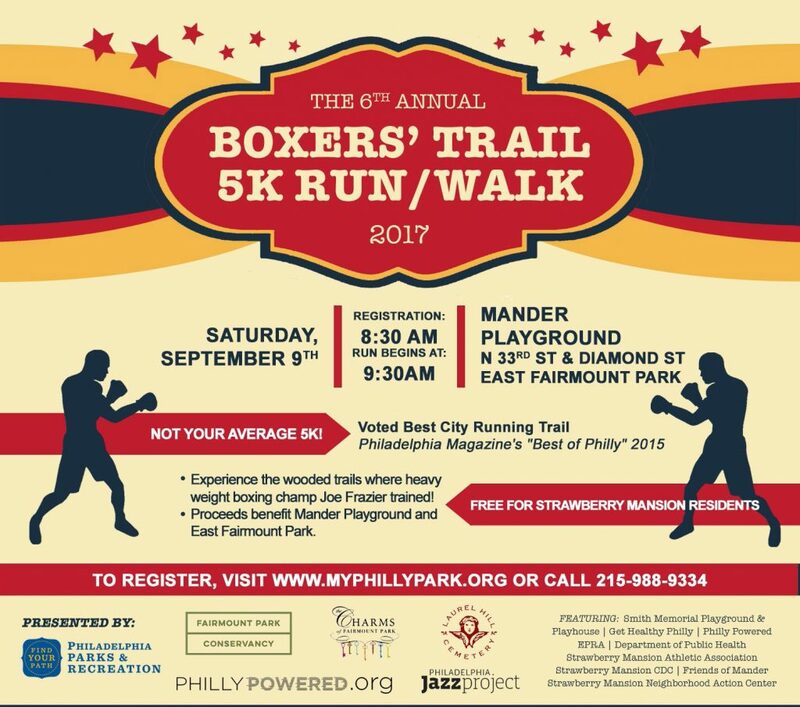 Proceeds from the Boxers’ Trail 5K benefit East Fairmount Park and Mander Recreation Center, which organizes youth programs. Need some encouragement? 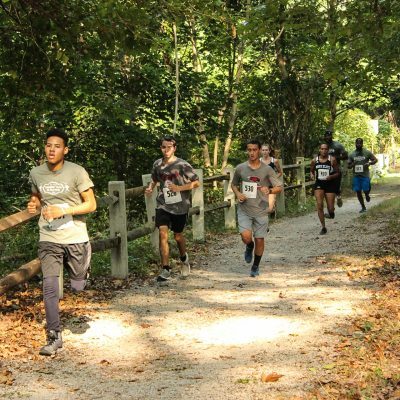 Here are 6 reasons to come out on September 9th for the Boxers’ Trail 5k! And check out this awesome video from Eric Stowers about the Boxers’ Trail 5k! Registration includes a t-shirt and with your t-shirt you can head to Parks on Tap at Mount Pleasant Mansion after the race for one free beer. If you are a resident of Strawberry Mansion, you can run the race free of charge. Please call 215-988-9334 to register in advance or show up on registration day.